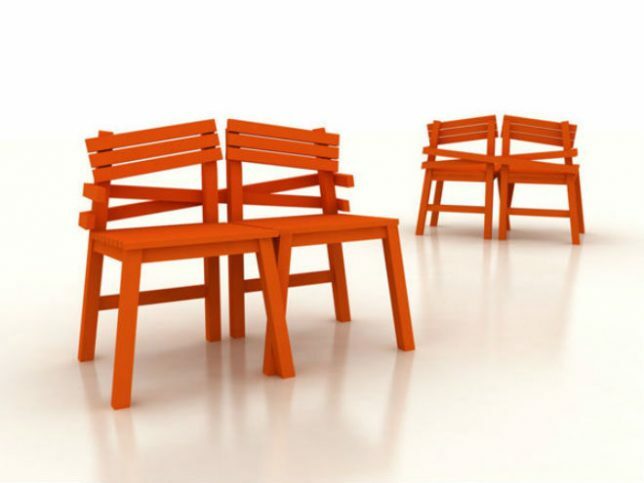 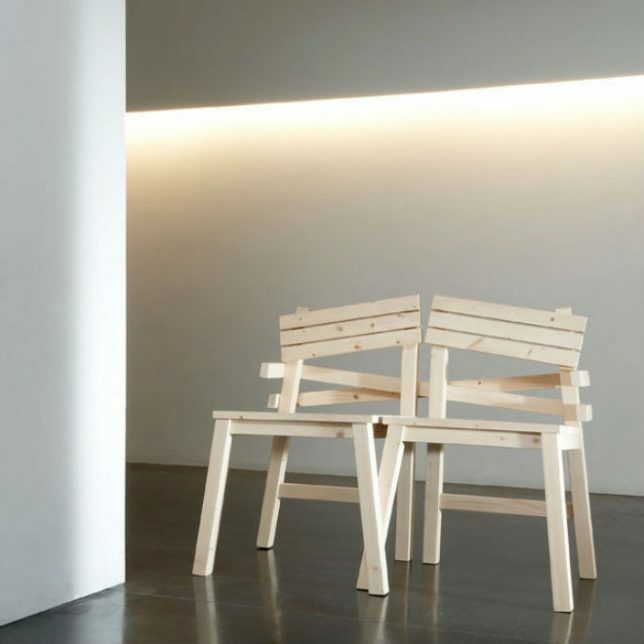 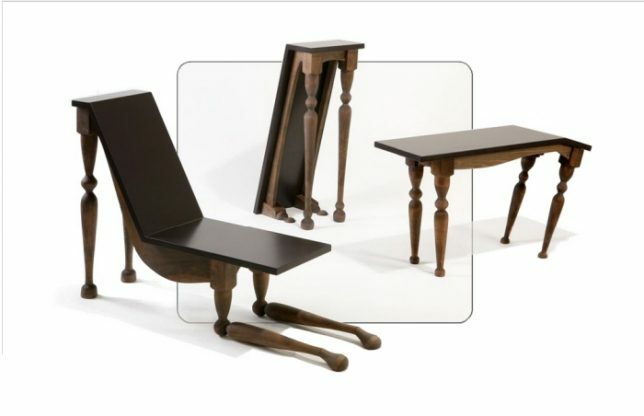 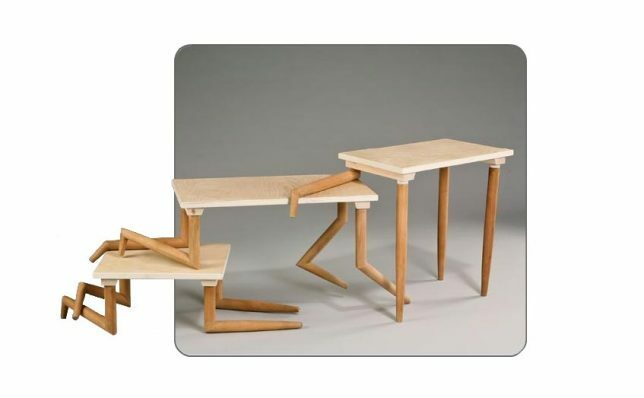 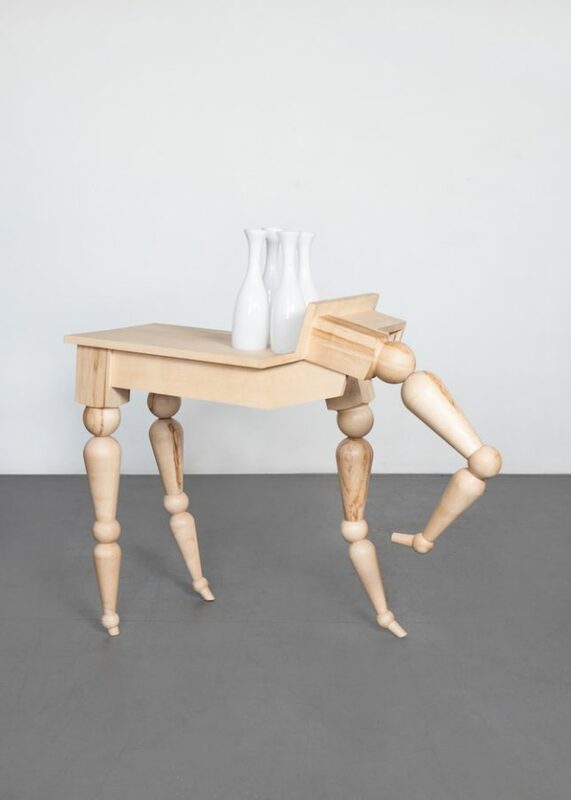 The wild-looking legs on Vendulka Prchalová’s ‘Locomotion’ table can be adjusted to your liking to change the angle of the surface and the overall silhouette of the piece. 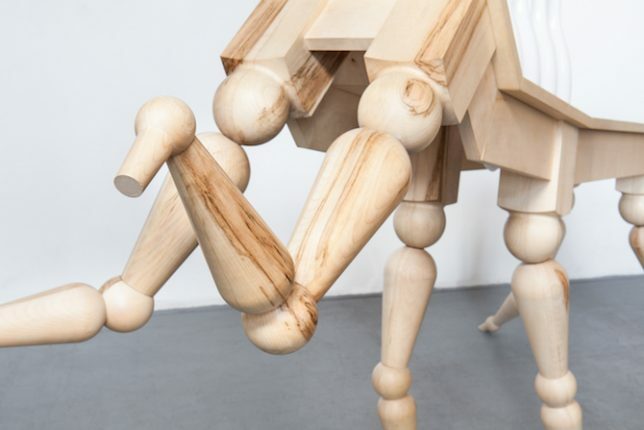 More a work of art than a functional object, it has either four or six twistable, bendable legs that can give it the look of anything from a deer bucking a human to a mythical beast. 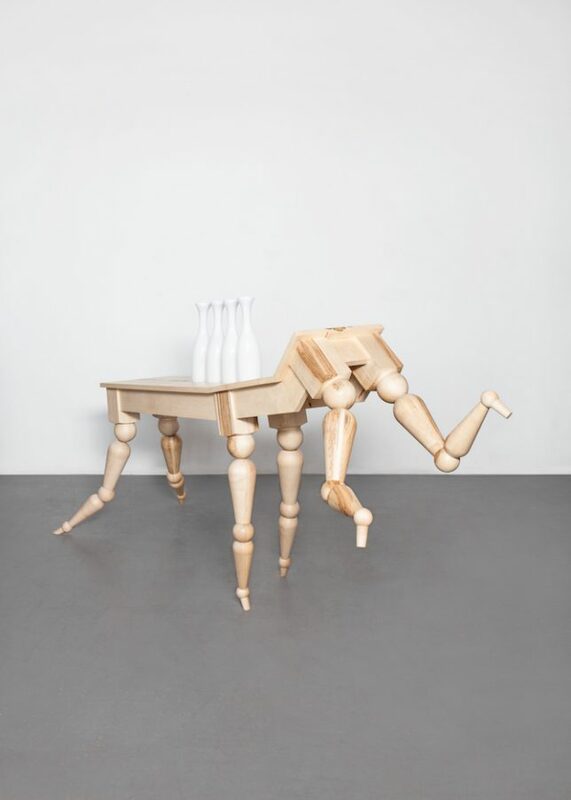 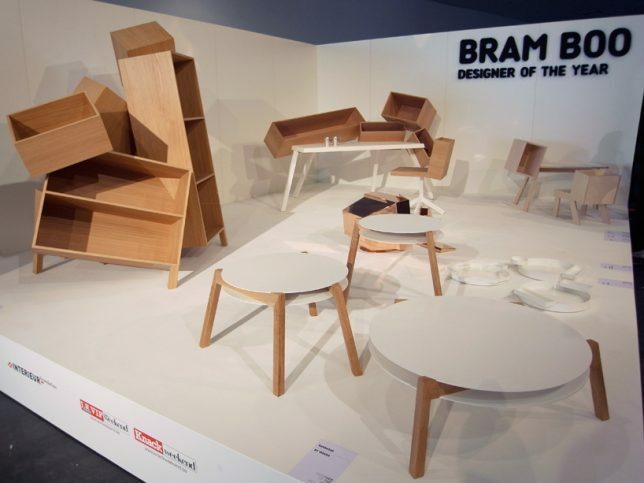 Abstracted animal and human forms question the conventional wisdom of how desks or chairs should look in the work of designer Bram Boo. 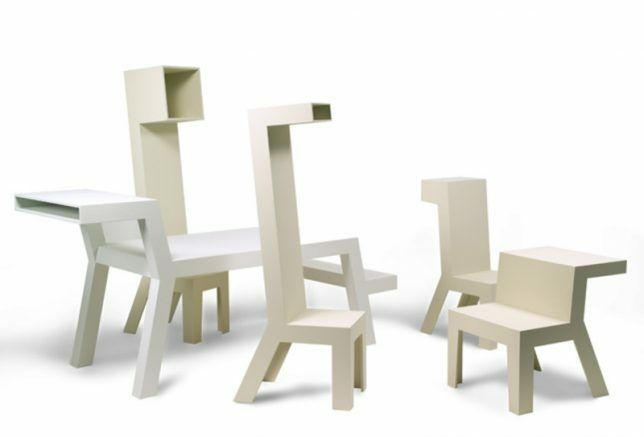 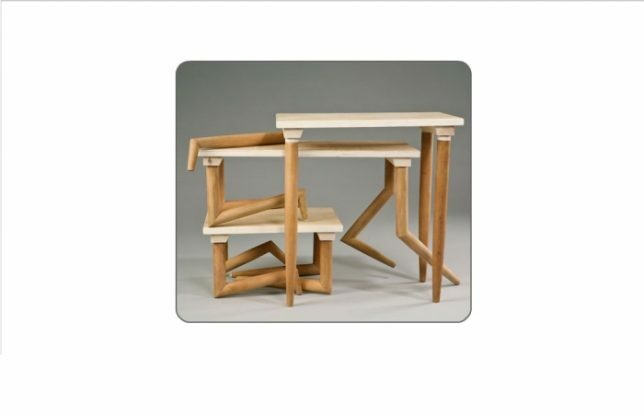 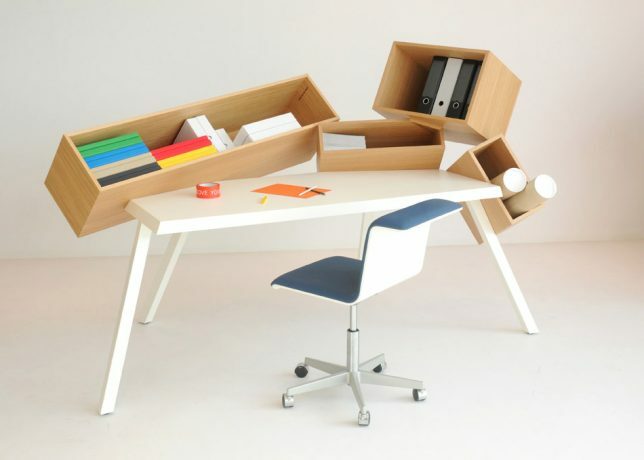 Comprised simply of boxes affixed to stiff-legged flat surfaces, the designs are suggestible of living forms without the use of any kinetic parts. 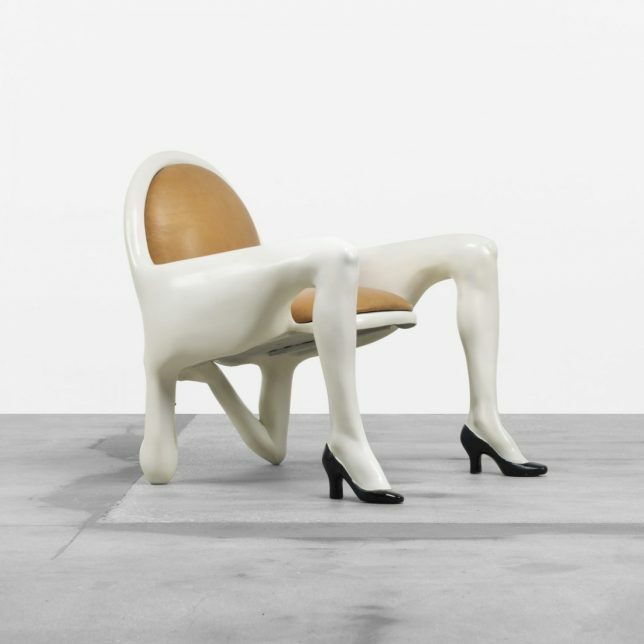 One can only hope that artist Anthony Redmile’s Body Chair is meant to make us uncomfortable, given all that its form suggests with its high heels, wide-open legs and back supported by a pair of clearly female arms.